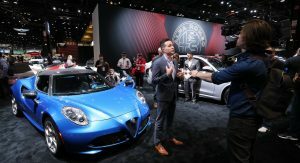 Alfa Romeo has taken the wraps off the 2020 4C Spider Italia, a special edition whose main selling point is a bespoke paint, and the fact that only 15 will be produced. 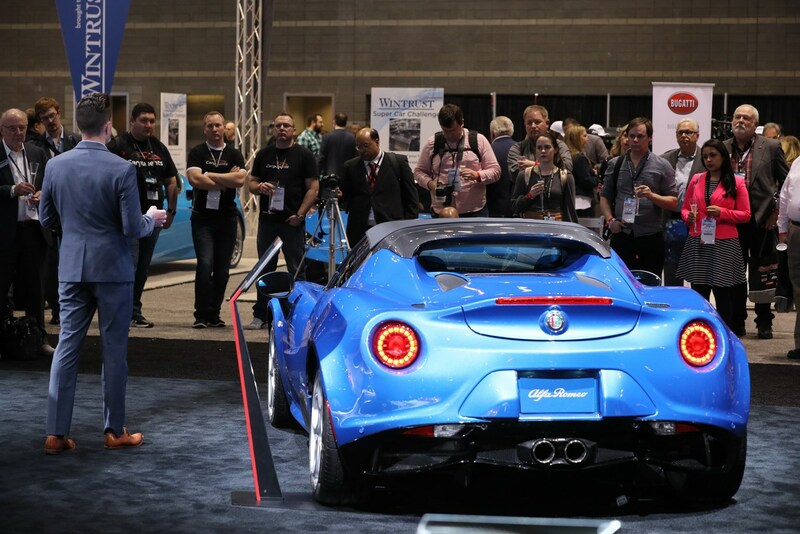 Currently on display in Chicago, the special edition features a handful of unique touches including an exclusive Misano Blue Metallic paint job. The stylish body color is contrasted by piano black accents on the air intakes and rear diffuser. 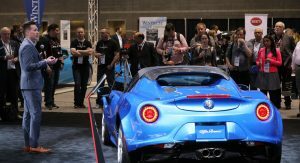 The car also has “4C Spider Italia” graphics with a tri-color design that pays tribute to the Italian flag. Interior changes are minor, but buyers will find an aluminum dashboard insert with the ‘’4C Spider Italia’’ logo. There will also be an individually numbered plate on the center console. Other standard features include a rearview camera, cruise control and rear parking sensors. 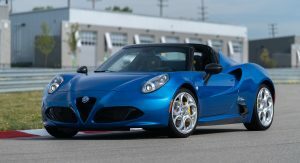 Like the standard 4C Spider, the Italia edition features a turbocharged 1.75-liter four-cylinder engine that produces 237 hp (176 kW / 240 PS) and 258 lb-ft (349 Nm) of torque. That doesn’t sound like much, but the car has a carbon fiber monocoque chassis which enables it to weigh less than 2,500 lbs (1,134 kg). 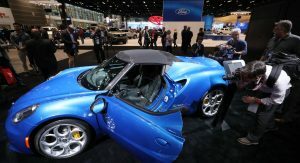 This gives the roadster a 10.4 power-to-weight ratio which allows it to run from 0-60 mph (0-96 km/h) in 4.1 seconds and onto a top speed of 160 mph (257 km/h). 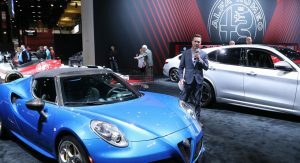 Only 15 units will be offered in North America and Alfa Romeo says the special edition will carry a $5,000 premium over the standard 4C Spider. 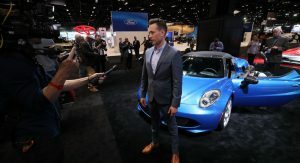 The Italian company declined to say how much that model will cost, but the 2019 4C Spider starts at $66,900 excluding a $1,595 destination charge. 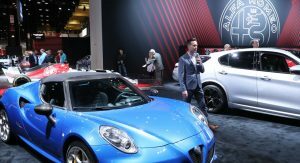 Alfa Romeo is currently accepting reservations, but there’s no word on when deliveries will start. 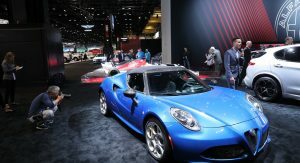 Alfa Romeo’s Berj Alexanian has confirmed the 2020 4C Spider will start at $66,900 which means the 4C Spider Italia edition will retail for $71,900 (excluding a $1,595 destination charge). There’s no set allocation for US and Canadian customers as the special edition will be offered on a first come, first served basis. 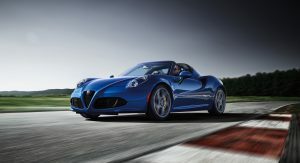 ..I wonder why the 4C faced the chopping block to start off with? It may have been a tad too flawed, but would’ve liked to see a new generation..
you most likely already know the answer to your own question. just not enough sales to warrant a follow up unfortunately. It sure has the unique looks. like you said, a tad too many flaws. 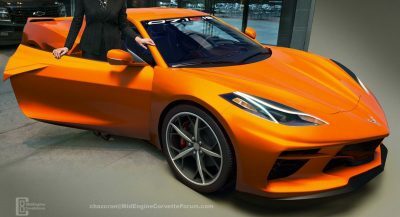 Well the 4C is only ‘”Kinda” Returning’, because it never really left. 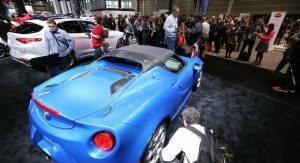 The 4C was never built to garner sales in the way the Porsche Cayman or other similar vehicles are. 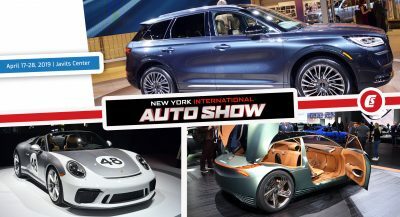 Rather one of it’s (major) main purposes (at least for the company,) was to mark the brands return to the United States (after their LONG hiatus) with something the world could look at and say wow. Having been with the 4C, it is a GREAT vehicle, & It is probably the very best vehicle at what it does, and what it’s specific driving focus is (especially in the weight savings department which attributes to performance beyond just the numbers and ‘spec-sheet‘ alone). BUT, Unlike it’s competition though, it was not something your could simply ‘daily drive‘ as you might expect with certain exotics. 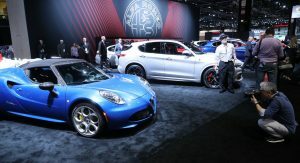 The History Of Alfa Romeo is a unique one, especially when it comes to its’ line up. (For Example The TZ3 Stradale & Corsa, The Disco Volonte, most of their classic & exotic vehicles (with some of their most famed designs), though beautiful usually don’t ever receive a ‘second generation’ and are rather simply (but maybe not directly) replaced with a new model. For Instance, (with a few years between models) the 4C took the “exotic sports vehicle” gap in their line-up left by the previous (& beautiful) 8C. 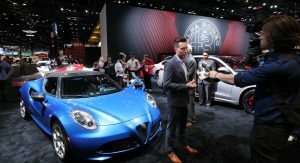 Now After Nearly 10 years, (with another coupe year gap), Alfa will end production of the 8C and begin production of their next sport vehicle which has already been announced. 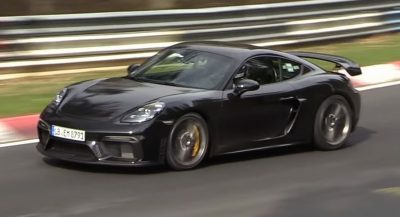 I personally believe the problem was in comparing this vehicle to the Porsche Cayman as it wasn’t intended to be a direct rival to that vehicle. 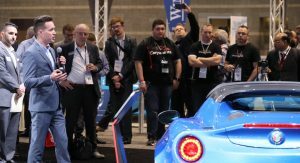 But rather the 4C will always be something unique and special all on it’s own, similar to the 8C that (with Alfas’ line of vehicles) preceded it. It was a very Purpose built vehicle and it didn’t cater to a ‘wide’ audience for sales (as it was never intended to). 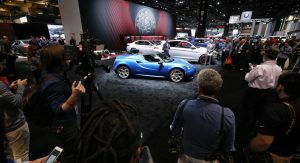 The 4C was not great for or even at everything, but it was and is one of the best vehicles you can buy (looks included) for what it was intended to do. To Be Honest I would prefer to have Alfa Romeo leave this beautiful vehicle alone for now, and move to work on what is next when the time comes. 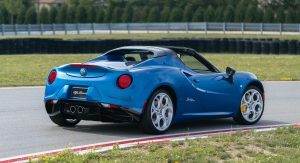 So while the 4C is on it’s way out, it is still here, and still (in my opinion) a great vehicle. I wished it was a foot and a half longer. The stylists “scrunched” a very promising design. It does have some presence on the road when I’ve seen them. Every time I stand over one – I think “damn too small” even thought I’m not that big. 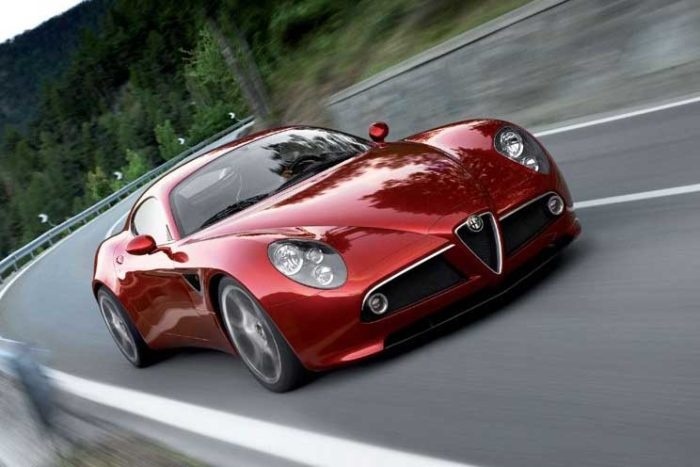 Alfa should ditch the 4C and create a brand new 6C or a second generation 8C as their halo car. The only good thing about 4C are its looks.